I drew you a dala pony. I hope you like it. 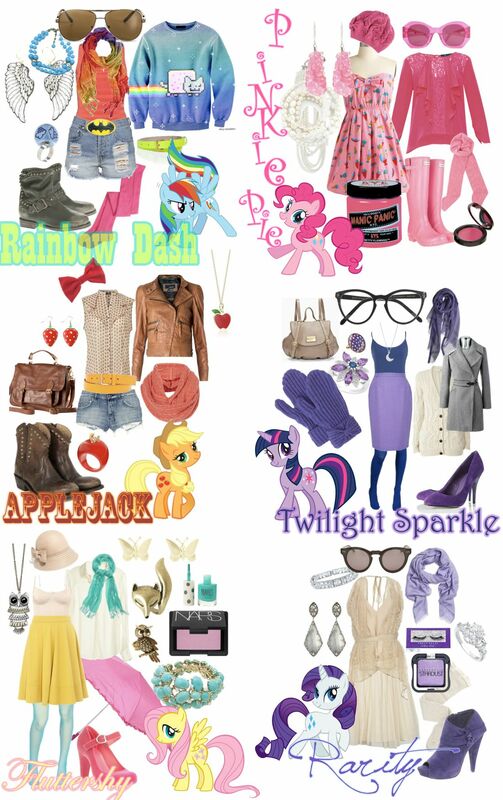 Also, here's some pony polyvore (courtesy of evenlesstolose on reddit). I want to dress like Fluttershy. Yup, that's all today. Ponies. Little Jess Makes... A Sheep! I found a box of things I made as a kid at my parents house over the holidays. I thought it might be fun to share a few of them on here. You know, for science. Today on "Little Jess Makes..."
Nils wanted a wallpaper version of my jellyfish drawing so I put a quick one together for him. Click a link below if you'd like it, too! Last but not least, here's a song! Ok, friends. It's been six months since Labyrinth of Jareth and I'm finally posting about the Valkyrie costume again. Lots of things going on these days- one of which is named Milo. That's my corgi. He's spectacular. You'll see lots more of him in the future. Moving on! Today I'm going to show you how to make my favorite part of the Valkyrie costume, the helmet. As I mentioned in the end of my last post on the costume, the helmet was significantly harder for me to make than the chest piece. It took a lot of trial and error so I don't exactly recommend these as good steps to follow. If you can learn something from this, that's awesome. If you have any tutorials to recommend I would love to hear about them. I first started off by trying to slump Wonderflex over a plastic viking helmet (sans horns) with a hairdryer. Let's clear this up right now: don't use a hairdryer to warm Wonderflex pieces larger than a dvd case or something. It's frustrating. Save yourself the trouble and get a proper heat gun or dunk the plastic in hot water. With the large piece I used for the helmet, as soon as I got one end heated with the hairdryer, the other end already cooled. I ended up with a lumpy, ugly bowl. Learn by doing, right? If I could find the photo, there'd be a picture of my first "helmet" base here. Unfortunately, I didn't quite get it right on my second attempt either. At this point I was still hadn't tried using hot water to mold the Wonderflex and stubbornly stuck to my hairdryer. I made pattern pieces like I did for the armor (yup, taped newspaper to my head) and used my trusty (soon to be broken) hairdryer to stick everything together. The result wasn't as bad as the first go, but I still ended up with a lumpy, bumpy cap. I quickly realized that it wasn't going to look good without some details to hide the lumpy surface. Sad times for Jess. I didn't want to buy any extra materials to smooth it out (nor did I have time to wait on shipping), so I patched up the worst craters with scrap pieces and began making little scales to cover my mistake. It took way too much time to cut, flatten and glue about a hundred scales, but the end result was totally worth an afternoon and way nicer than a plain back would have been. After I prettied up my helmet with the scales, I got to working on the wings. I sketched a few ideas on newspaper and held them up to the helmet to see what looked good. Once I settled on a shape, I broke the wing down into each piece I thought I might need to cut out of Wonderflex. I wanted it to be really detailed, so I decided to make each feather a different piece. I ended up with 30 feathers in all, each numbered to correspond to the placement on my original drawing. Next it was time to trace the feathers onto Wonderflex, cut them out, and flatten then (with hot water!). I then began with the outer most feathers and glued them onto a base one by one. I used my original sketch to mark out where each feather would lie. Remember, I had to make two of them, so I needed the process to be repeatable. I cut a circle and sketched a pattern to match my other armor and cover where all the feathers came together. I also held the wings up to the helmet and cut the sides into the shape of the lower feathers. I fancied up the top circles with some raised details and glued them on (clamps help). I made a simple visor attached with some metal brads (office supplies, nothing special) so the visor can be lowered and raised. Before assembling anything I painted everything with matte grey primer, watered down black paint and metallic glaze. Last of all, I glue the wings to the sides of the helmet, lining up the bottoms of the wings and making sure to leave space for the "arms" of the brads to rotate. Did you miss something? Check out the plan, the dress, the armor, and the finished costume! Isn't it lovely? I'm cover the stair landing with these wall stickers. Completely in love with them. I've been drawing more. Here are drawings from last month!